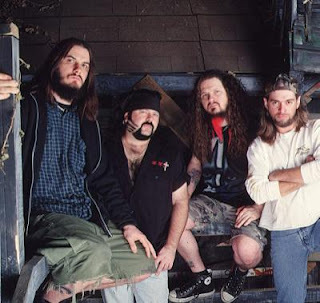 Pantera was an American heavy metal band from Arlington, Texas, formed by the Abbott brothers, Vinnie Paul (drums) and "Dimebag" Darrell (guitar), then known as Diamond Darrell, in 1981.Bassist Rex Brown then known as Rex Rocker would join in 1982, with vocalist Terry Glaze. In 1987 Phil Anselmo would become the group's lead vocalist, completing the band's most successful lineup that would remain together for 16 years. Pantera's style changed by the late 1980s. The band subsequently became a key formulator of the post-thrash metal subgenre of groove metal. It would not be until nine years after forming that the band saw its first piece of commercial success in its 1990 major label debut, Cowboys from Hell. From there, Pantera became one of the most celebrated heavy metal bands of the 1990s. Pantera began to suffer from mounting tensions between band members in the mid-1990s, largely due to Phil Anselmo's rampant drug abuse. Anselmo had had a back injury for several years and decided, instead of getting proper treatment, to begin using heroin as a painkiller. As a result his behavior became erratic and volatile, his performances suffered and he began to distance himself from his bandmates, who were initially unaware of his addiction. In 2001, the band went on hiatus and was never able to successfully reunite, with the Abbott brothers unable to communicate with Anselmo, who was immersed in several side-projects, chiefly Down and Superjoint Ritual. Pantera officially disbanded in 2003 and a war of words ensued, with Phil and Vinnie Paul trading inflammatory comments and blaming one another for the break-up of Pantera via the media. Any hope of the band members ever reconciling their differences and possibly reuniting was lost in 2004, when "Dimebag" Darrell was shot and killed on-stage at the Alrosa Villa in Columbus, Ohio by a mentally ill gunman named Nathan Gale while performing with Vinnie and his new band, Damageplan.